Yes, that's right. Italian Salad Dressing. It makes a great emergency dressing when you have under an hour to marinate the meat. The only drawback? It's not all that great on red meats. My best results have been with pork and chicken. Chicken in particular takes to Italian dressing very well, but I have also successfully used this dressing on white fishes and shrimp. Well, no actually, that's wrong. Columbus never got as far north as modern American boundaries. He stayed mostly in the Caribbean and Central Americas. It was his exploits though that discovered the American Continents existed and allowed for further exploration of the Northern Continent at a later date. Therefore, Columbus Day is named for the man that allowed for the future colonization of modern day America by explorers following in his wake. To put it nicely. Here's another original basic to get you warmed up; the Snub Nose. This little plane tends to be heavy and falls out the sky fairly easily, but it's a good tool to teach beginners the wrist action used in launching planes. It's a sturdier model so you can launch it over and over without too much damage done to the plane. Also good for children, the heavier weight will give them something to hold on to as they learn. This one feels more like a Star Cruiser model, it'll be a fun project for the space fan in your family. 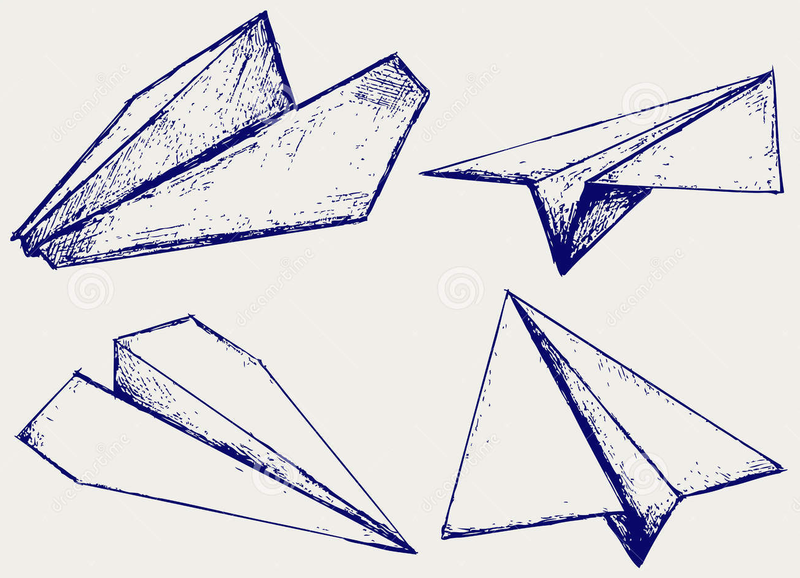 Keep in mind that all paper planes can be decorated as well. Tip: fold the plane first, then unfold it and color with markers or colored pencils. Crayons are too heavy and will pull the plane down. Pencils are my favorite. Despite the audacity of awesomeness that this model plane claims to be...I'm going to have to back them up on this one. 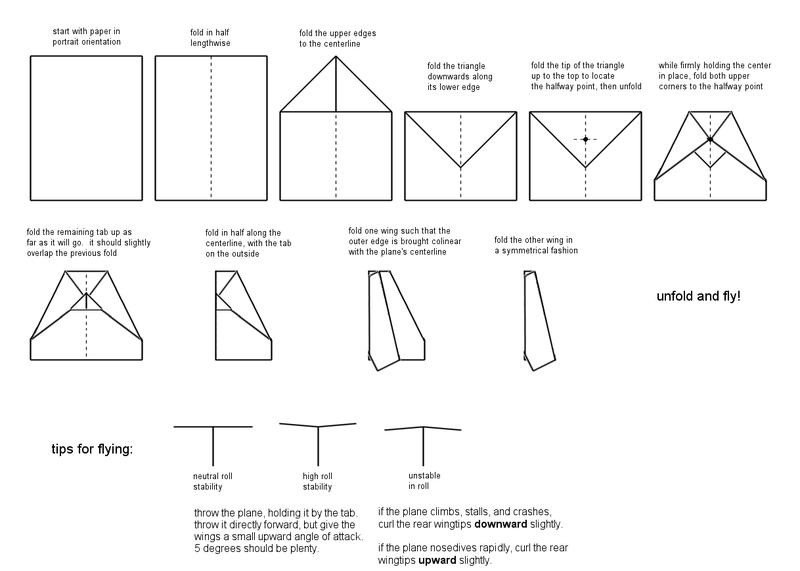 The folds are thicker and stronger than normal paper planes so the creases don't come undone in flight. Furthermore, the design is more like a light balsam wood model plane than a paper one. This plane can get some serious air! It's one drawback? Not very good with turns or choppy wind. Give this plane a clear path and smooth wind and it can coast for hundreds of meters! Images 24 - 28 show the making of the tail. The tail is important to add weight to the back end of the plane, counterbalancing the heavier nose and pulling back on the wings allowing them the maximum amount of draft. The tail is folded by using the last inch or so (depending on your preferences you can play with the amount you use and try out the differences) of the wings and back-end of the plane. Start the tail by folding the paper up to the bottom of the wings. Unfold. From that crease you are supposed to cut (That's right! You get to CUT this paper plane!) the remaining piece back. This piece is then used to fold the tail. 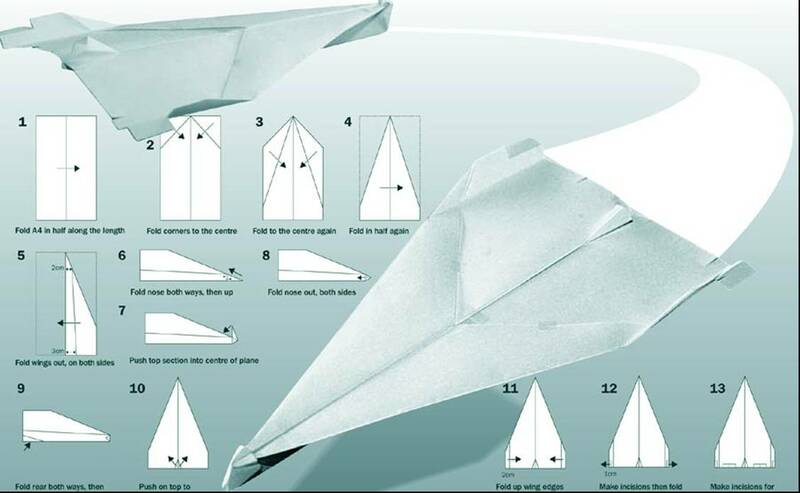 Watch the video below and fold the Willow paper plane. The challenge here lies not in the difficulty of the fold, this plane is only medium in difficulty, but in the tricks you can do with this design. My challenge to you? See if you can do a complete loop-de-loop. What other tricks can you complete? Send me your success videos and pictures!